SHADED BLUE DENIM adult hat with natural white sheep cuff. Hand dyed and hand knit hat from our farm yarn. 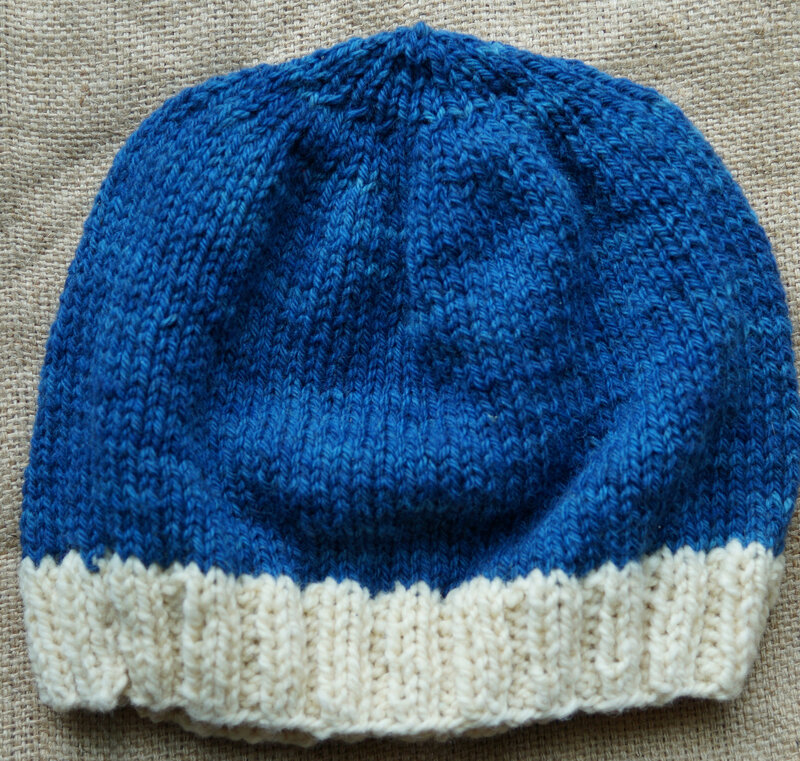 Hat measures 20 inches around unstreached and 10 inches high. Will fit large child or adult. Shipping can be combined with other items for a cheaper rate. Excess postage will be refunded.